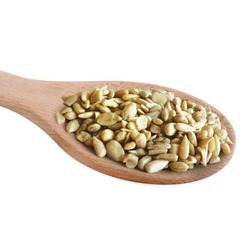 Straight Seeds | Unmixed Bird Seed | Really Wild Bird Food. Alongside our tasty and highly nutritious seed mixes, we also supply a variety of straight seeds for wild birds, the majority of which are home-grown on Street End Farm! Our range of unmixed seeds includes a broad selection of single ingredient seeds and grains, all of which offer the same high-quality ingredients found in our mixes. 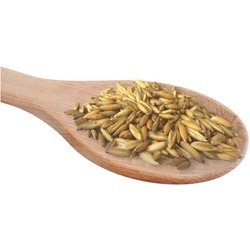 This allows you to create your own flavour combinations using our straight bird seeds, or even tailor your feed choice to your local bird population. To suit the individual feeding requirements of each of our customers, we also supply our straight seeds in a choice of sizes. These range from long-lasting, 20kg packages of your chosen feed, to our smaller, 4kg packs of grains, dried fruit, and unmixed seeds for wild birds. Our UK farm has a fantastic range of high quality straight seeds for wild birds, and because our seeds are home-grown we know that they are packed with nutritional quality. Our straight seeds are harvested, cleaned and freshly packed, for unbeatable taste and freshness, ensuring that you get the best possible quality bird feed, because we know that you want to provide a healthy and attractive bird feed for your garden birds. 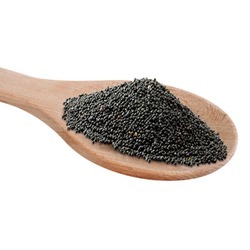 Niger Seed Niger seeds are rich in oils, which are essential for a healthy and well-balanced bird diet. Black Sunflower Seeds This high quality thin husk seed makes the black sunflower seed a first choice. 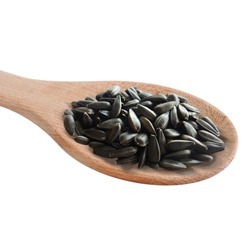 Sunflower Heart Chips Smaller pieces of sunflower hearts - now at seriously good prices! Hemp Loved by small birds and perfect for bird tables. Safflower Safflower is high in protein and fat. Kibbled Maize High quality whole kibbled maize - perfect for wild birds! Rolled Naked Oats Highly nutritious, loved by ground feeding birds and home grown on our farm! Buckwheat Nutty in flavour and high in amino acids, Buckwheat is perfect for game birds and parrots.